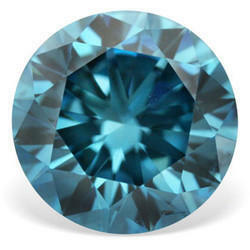 Fancy color diamonds from 0.01 cent to upto 0.12. Available in yellow, purple, blue, green, chocolate, orange, brown colors. Why dont you start with Color Diamond which comes in varied color that will make your jewellery stand out. Because it makes your jewellery stand out, because it adds more value and make the look more richer. and you will have more product designs when you combine this diamonds with white diamonds, black diamond and other gemstones. if you do not believe me just search through search engine for color diamond products and see the result. 50 year Experience in Diamond Industry > Export in more than 20 countries > Paypal verified world seller > Registered Export House > Member of GJEPC > Gold member at Alibaba. Packaging Details Export grade packing with multi layer protection. Established as a Sole Proprietorship firm in the year 1961, we “Gemone Diamonds” are a leading Manufacturer and Wholesaler of a wide range of Black Diamonds, Diamond Beads, Diamond Rings, Diamond Pendant, etc. Situated in Surat (Gujarat, India), we have constructed a wide and well functional infrastructural unit that plays an important role in the growth of our company. We offer these products at reasonable rates and deliver these within the promised time-frame. Under the headship of “Mr. Ashishkumar Sukhadiya” (Proprietor), we have gained a huge clientele across the nation.